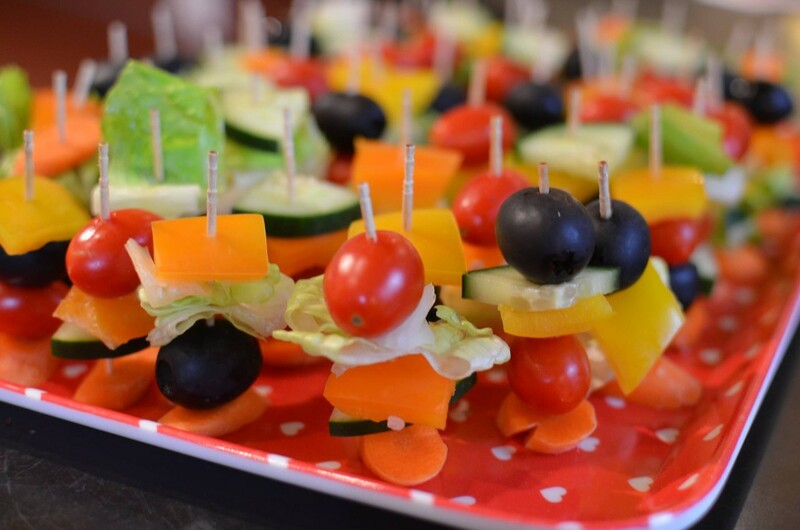 I wanted to add a healthy side dish to a pizza party for my volleyball team, so I made Salad on a Stick! It was a big hit 😀 It’s simple and easy to make but it still looks awesome and it’s super fun to eat. I hope you enjoy! This was a huge hit when I brought it to our volleyball team's game! It's easy to eat because you don't need utensils, and it's fresh and colorful too! Take a toothpick and pierce veggies that you'd like on your Salad on a Stick. End with a slice of carrot, since it will help your stick to stand up. Serve dressing in a little bowl for people to dip in, or in a squeeze bottle so people can squeeze out a few drops onto their salad before popping into their mouths.